On this episode we ask you to ironically enjoy our latest episode on THE DISASTER ARTIST and ironic enjoyment at the movies. To do so we actually enjoy a couple of other movie podcasts on this outbreak of detachment occuring in modern film fandom. 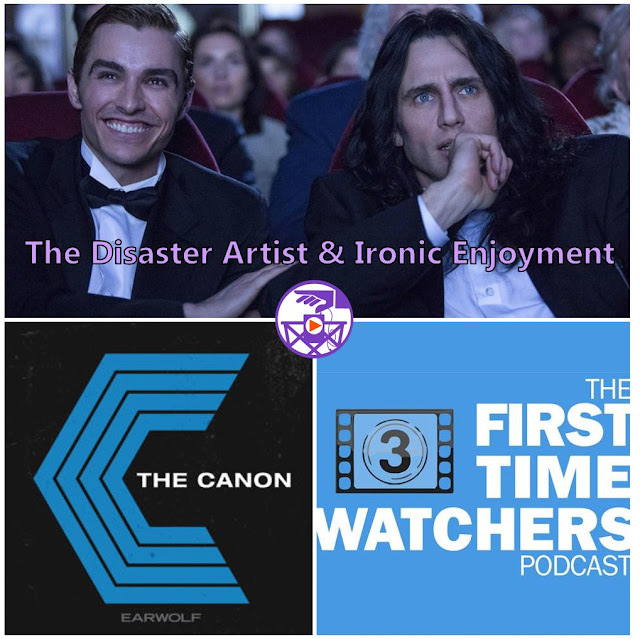 FIRST TIME WATCHERS and THE CANON join James Franco in enlightening the world on all that is good about bad cinema, but we also hold out hope that these great shows can also point out all the good in our bad podcast! If not, we just point you in their direction. Enjoy!